All Kits include FULL Service Customer Support for Installation, Technical, and Troubleshooting a Phone Call Away. Safeguard Blockage Monitor electronically detects blockages and alerts you with an Audible Alarm and a Visual Display of the blocked row’s number. 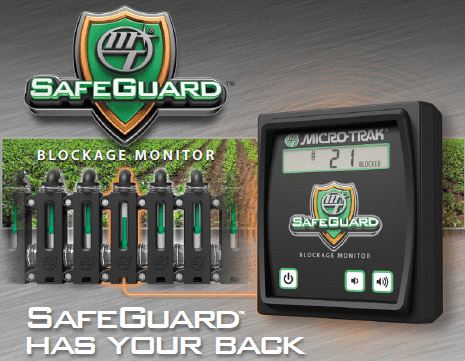 Safeguard Blockage Monitor will reduce over and under-application. Saving you time and money. Gain confidence when applying Liquid Fertilizer.